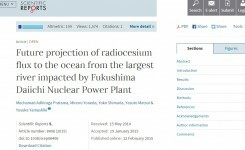 Following the initial fall out from Fukushima Dai-ichi Nuclear Power Plant (FDNPP), a significant amount of radiocesium has been discharged from Abukuma River into the Pacific Ocean. 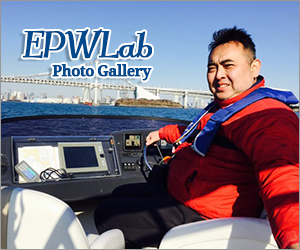 This study attempted to numerically simulate the flux of radiocesium into Abukuma River by developing the multiple compartment model which incorporate the transport process of the radionuclide from the ground surface of the catchment area into the river, a process called wash off. 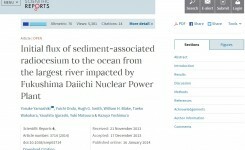 The results from the model show that the sub-basins with a high percentage of forest area release the radionuclides at lower rate compared to the other sub-basins. In addition the results show that the model could predict the seasonal pattern of the observed data. Despite the overestimation observed between the modeled data and the observed data, the values of R2 obtained from 137Cs and 134Cs of 0.98 and 0.97 respectively demonstrate the accuracy of the model. 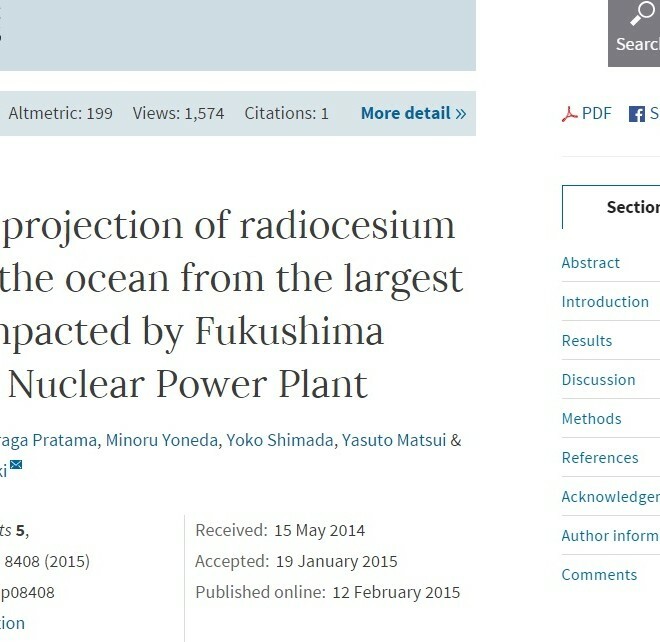 Prediction of the discharge from the basin area for 100 years after the accident shows that, the flux of radiocesium into the Pacific Ocean is still relatively high with an order of magnitude of 109 bq.month−1 while the total accumulation of the discharge is 111 TBq for 137Cs and 44 TBq for 134Cs. 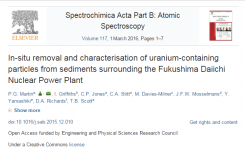 In-situ removal and characterisation of uranium-containing particles from sediments surrounding the Fukushima Daiichi Nuclear Power Plant.